That shade of purple is my absolute favorite. While Boston is filled with sides of buildings and other walls with beautiful murals, don't overlook the murals on utility boxes around the city. 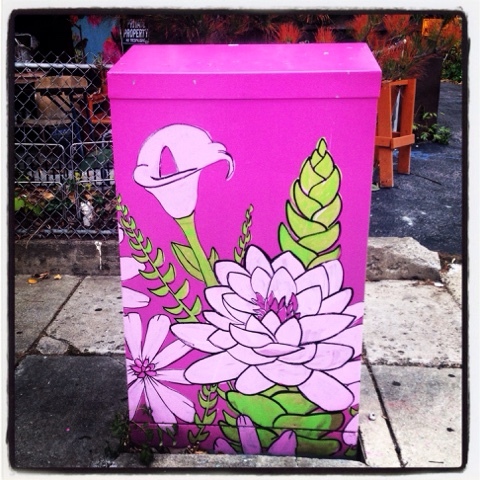 Many utility boxes in Boston are painted with something pretty, cool, or interesting. It's a great way to spruce up the streets! View my collection of Murals of Boston at this link.